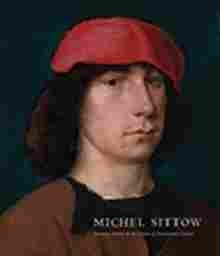 This handsome volume is the first in English devoted to Michel Sittow (c. 14691525), an artist from Estonia who trained in the tradition of early Netherlandish painting. Sittow worked for many high-profile patrons, including Isabella of Castile in Spain, and specialized in beautiful small devotional works and portraits; the portraits, in particular, are artistically sophisticated paintings that have been characterized as among the finest of their time. Featuring approximately twenty works attributed to Sittow, as well as paintings by his contemporaries, including Hans Memling and Juan de Flandes, this book provides an important opportunity to learn about Sittows oeuvre and to appreciate it within the cultural context of his homeland as well as the broader milieu of early northern Renaissance art.